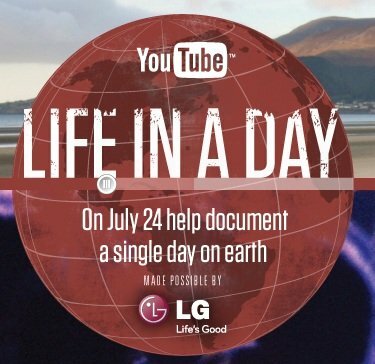 If you’ve visited YouTube recently, you must have observed a change in their logo to reflect a new initiative named as ‘Life In A Day‘. Life in A Day, is basically YouTube’s experiment to see what the common man comes up with in a day. The concept’s tagline reads: “ONE WORLD. 24 HOURS. 6 BILLION PERSPECTIVES”. If you are interested in this, you will have to create a feature film that’s shot in a single day. The competition is open till July 24th. The best film out of all the submissions will be created into a documentary which will be produced by Ridley Scott and directed by Kevin Macdonald. The winning footage will also be premiered at the Sundance Film Festival in 2011 and also be available on YouTube. So if you want to try your hand at it, head over to YouTube!